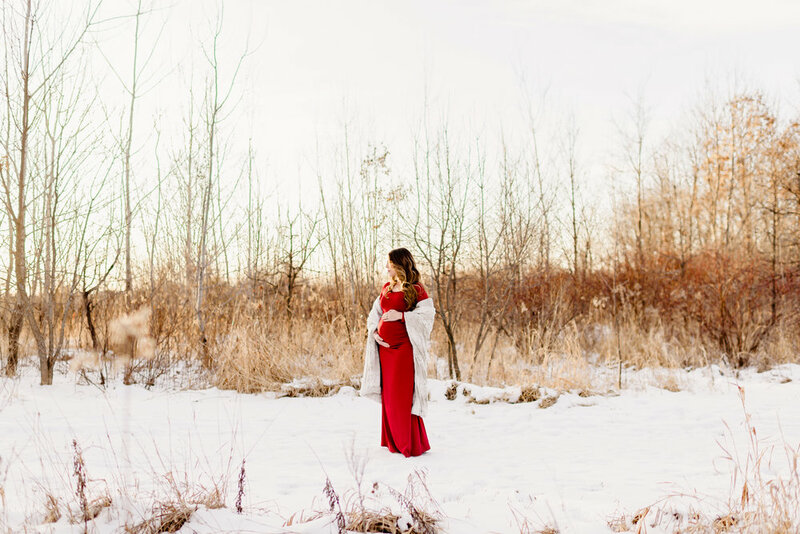 This dreamy winter maternity session was beautiful and sentimental, all at the same time. You see, we photographed Dana and Stephen's stunning Minnesota Harvest Apple Orchard wedding back in 2015. Dana also happened to be a bridesmaid in Krystal and Justin's gorgeous summer wedding at Minnesota Landscape Arboretum. 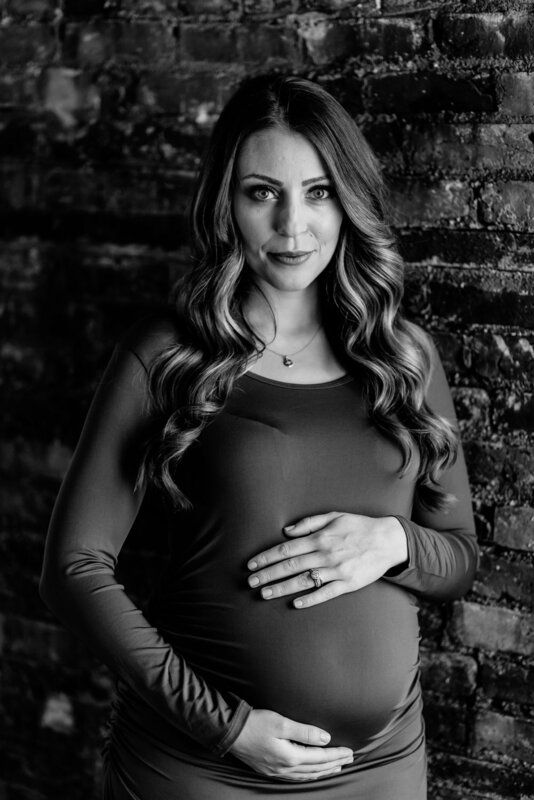 So when Dana reached out to me this past fall with the news that she was expecting, I was absolutely THRILLED! Dana and Stephen have since moved to California, but they were planning a trip home to Minnesota for the holidays. 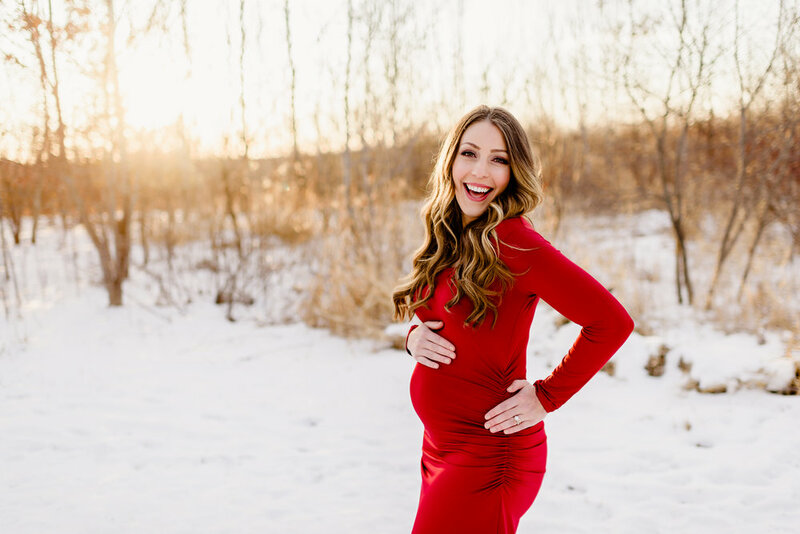 Perfect timing to grab a snowy winter maternity session, with a beautiful baby bump showing! 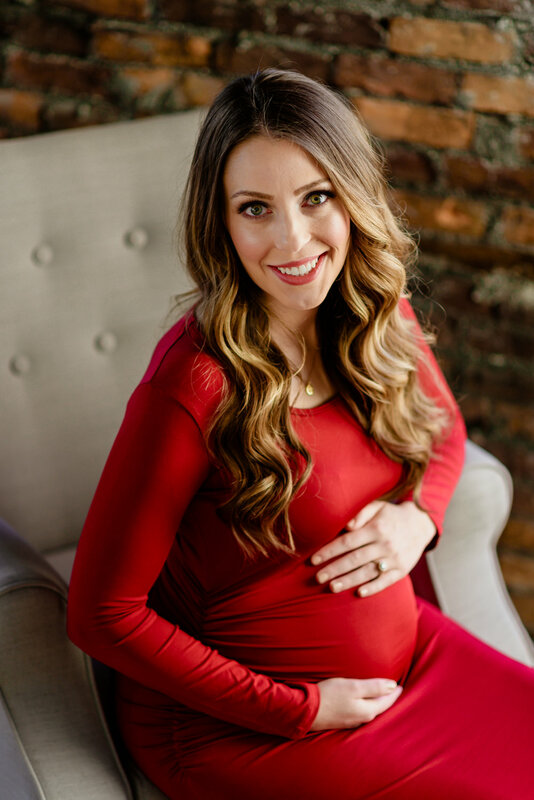 Dana chose a vibrant long red gown for her maternity photos and it hugged every beautiful, growing curve to perfection! We began our session with some candlelight images in my studio, and then headed to a nearby park to take some dreamy sunset images. That light was absolutely SPECTACULAR! Red never looked so good. Can't wait to meet their sweet baby girl, due in March!